So it's that time of year when we celebrate sporting achievement (and their personality apparently) at the BBC Sports Personality of the Year awards (also known as SPOTY) and the public gets to vote for their favourite sportsperson from a list of nominations. This year the twelve nominees, elected from a panel that included olympians, heads of sports organisations, and individuals from sports media outlets came from the following areas: tennis (1), motorsport (1), track and field (3), boxing (1), cycling (2), rugby (1), football (1), gymnastics (1), and swimming (1). The winner and runner-up were the sole representatives of their sports on the shortlist - tennis and rugby respectively. Third placed Jessica Ennis-Hill was one of three athletes in contention from the world of track and field. So it was good to see someone from that discipline up there in the roll of honour. However, neither of the cyclists featured highly in the results. It looks even worse when you consider that both of them had achieved historical feats this year. Chris Froome became the first Briton to win the Tour de France twice, while Lizzie Armitstead was crowned World Road Race Champion on the back of a glittering run since the 2012 Olympics. Andy Murray who was voted the Sports Personality of the Year 2015 did not win any major singles title at all. The closest he got to touching a Grand Slam trophy was during his spectacular defeat by Novak Djokovic in the Australian Open final in January. There then followed the usual British semi-final/quarter-final exit for the remaining Grand Slams. 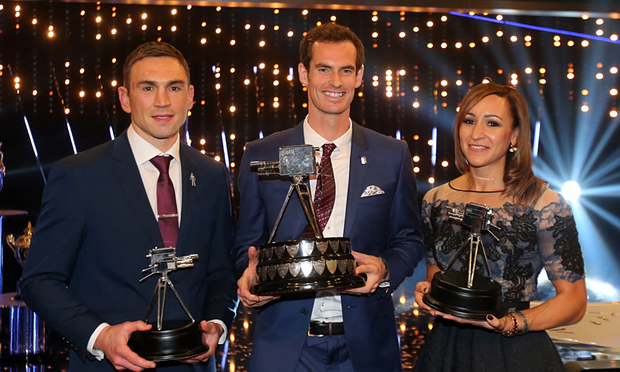 Although Murray won the Davis Cup tournament, that was a team event, and the Great Britain team received an award for that during the SPOTY ceremony on Sunday in Belfast. Kevin Sinfield, the rugby player who finished second in this public-vote competition, did not win any specific championships during 2015. It appears that he received votes for being a really loyal and consistent athlete who scored loads of points during his career. Well done! Since the winner is chosen on the basis of the number of on-line and telephone votes received from the public my question is why was there such muted support for Froomey and Lizzie (who finished 6th and 10th respectively in the vote) despite their achievements? Note that the total number of scores amassed by the two cyclists was less than the number of votes received alone by Tyson Fury, the boxer who many campaigned to have removed from the list of nominations following his misogynistic and homophobic comments. He even finished fourth in the competition - close behind 2012 Olympics poster girl Jessica Ennis-Hill! 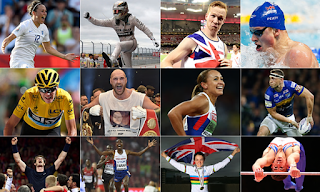 Some might argue that the SPOTY public vote throws up lots of anomalies. For instance, if it is also about an individual's personality how has someone who appears so dull and deadpan like Andy Murray managed to win twice? And why didn't Max Whitlock finish higher up in the placings after becoming the first British male gymnast to win a World Championship title? My questions come against the backdrop that cycling is constantly being talked about as a sport that has garnered a phenomenal increase in interest from the public. Look at the crowds that turned out on the streets of Yorkshire and London for the Grand Depart last year. Furthermore, cyclists have had a track record for winning SPOTY - from Tom Simpson in 1965, Chris Hoy in 2008, Mark Cavendish in 2011 and Bradley Wiggins in 2012. Perhaps the fact that Chris Froome's achievement at this year's Tour de France occurred under a cloud of scepticism and suspicion over doping. As for Lizzie Armitstead's outstanding season and her win at the World Road Race Championships, this seems largely to have slipped underneath everything! I guess for Tyson Fury, whatever you think about him everybody knew his name by the time the SPOTY awards ceremony took place. And for him and his PR team they probably stuck firmly to the adage "there is no such thing as bad publicity"! Perhaps next year the cyclists will be back. After all, in the last two Olympic years it was a cyclist who won the BBC award. Maybe Rio will bring good fortune to our pedal-powered heroes, and who knows we might see people ringing in or clicking their mouse in favour of Laura Trott or perhaps even Wiggo again! Comments originally made on Twitter.